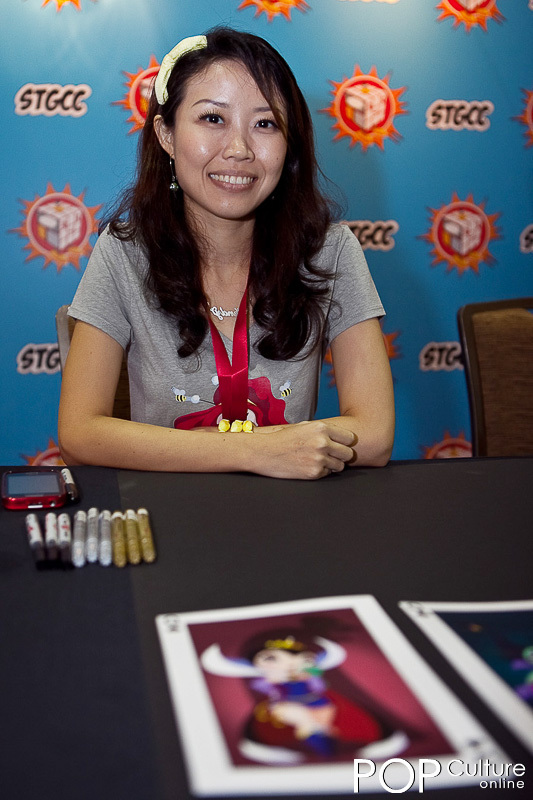 The Singapore Toy, Game & Comic Convention (STGCC) 2012 was held at the Sands Expo and Convention Center, Marina Bay Sands (MBS), over the first weekend of September. 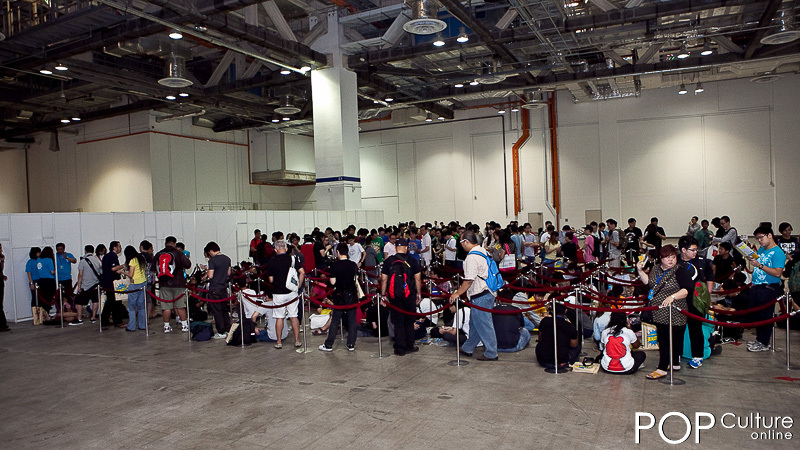 And as early as two hours before opening time, popular culture fans have already started queuing up to be among the first to enter the event halls of the coolest event in town. 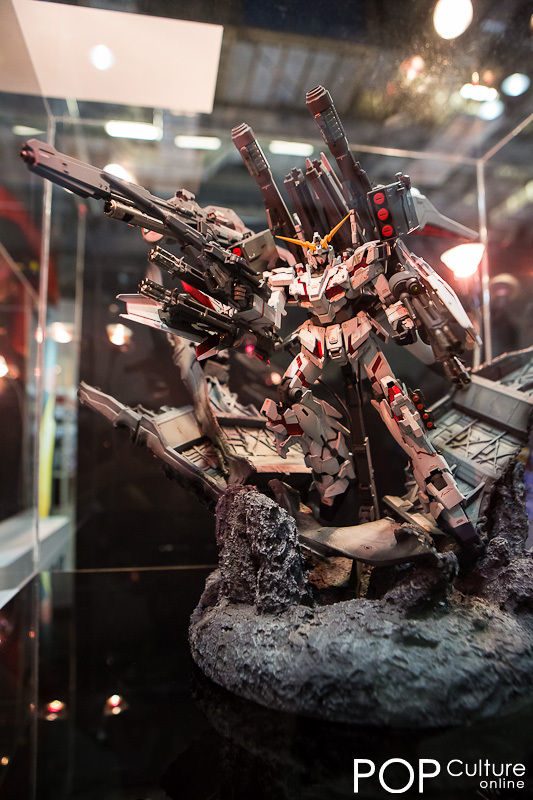 One of the main highlights for this year’s STGCC is the Hot Toys Booth where visitors are sure to stop by and spend time looking through the many display pieces. 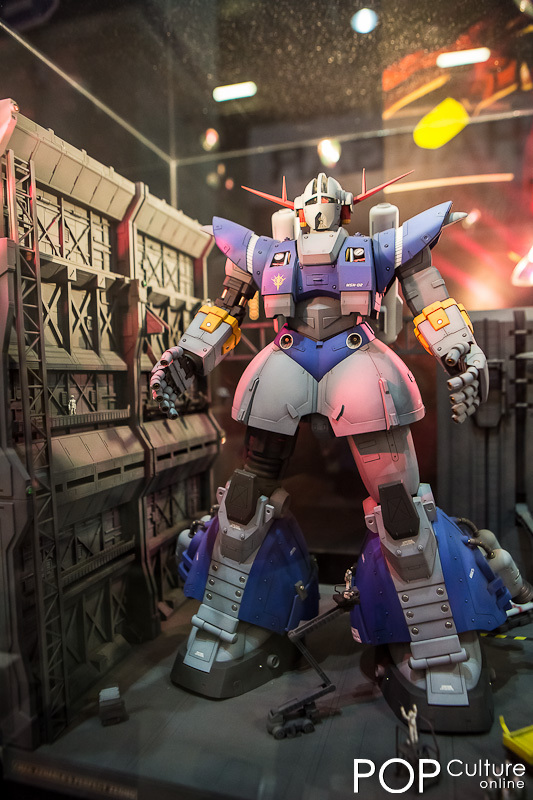 Known for their excellent sculpting of movie replica figures from various popular series like Marvel’s The Avengers and Christopher Nolan’s Batman trilogy, this is one booth that is never without someone trying to take a picture. 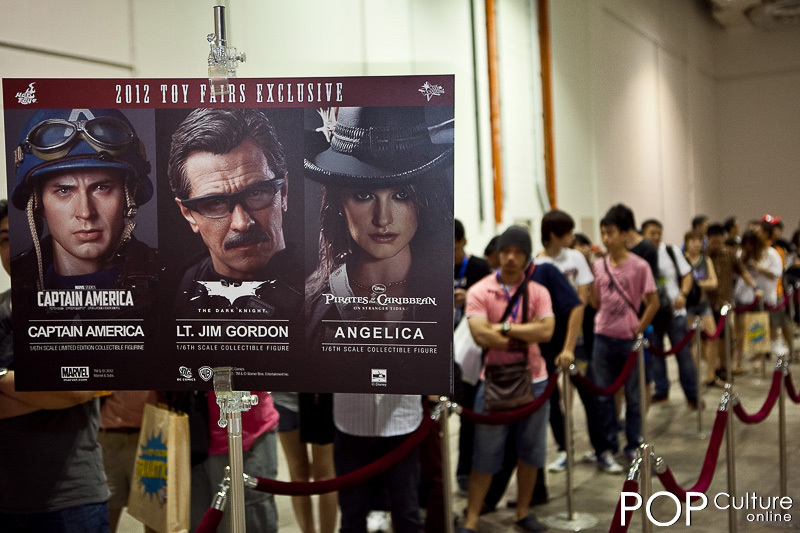 Fans of the Hot Toys collection also had a chance to add 3 exclusive figurines to their collection in the likes of Jim Gordon, Captain America and Angelica. 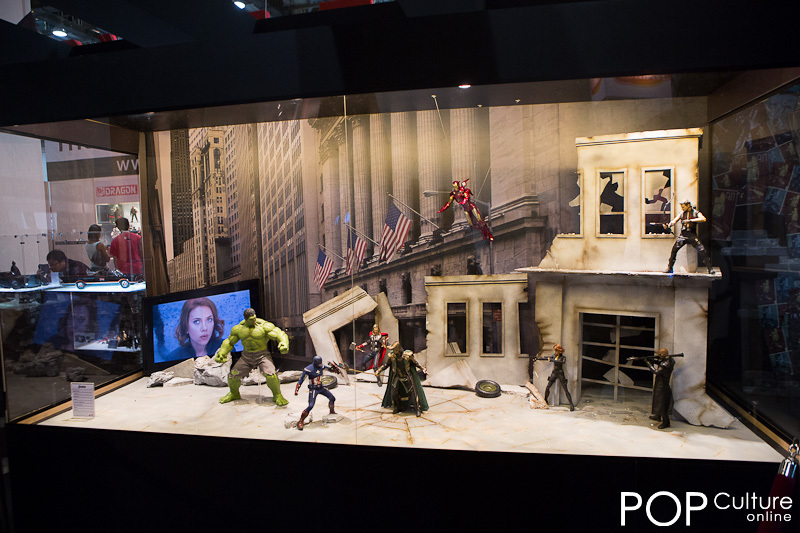 Not available outside through the usual retail channels, these show collectibles are usually highly sort after and always adds that extra bit of excitement to the event. 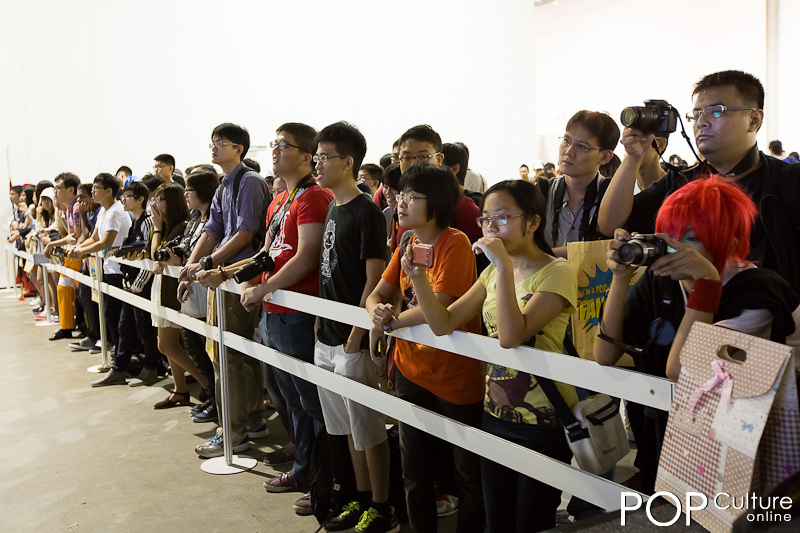 Another highly anticipated highlight of STGCC is the walk of fame where fans have a chance to get up close and personal with their favourite popular culture personality. 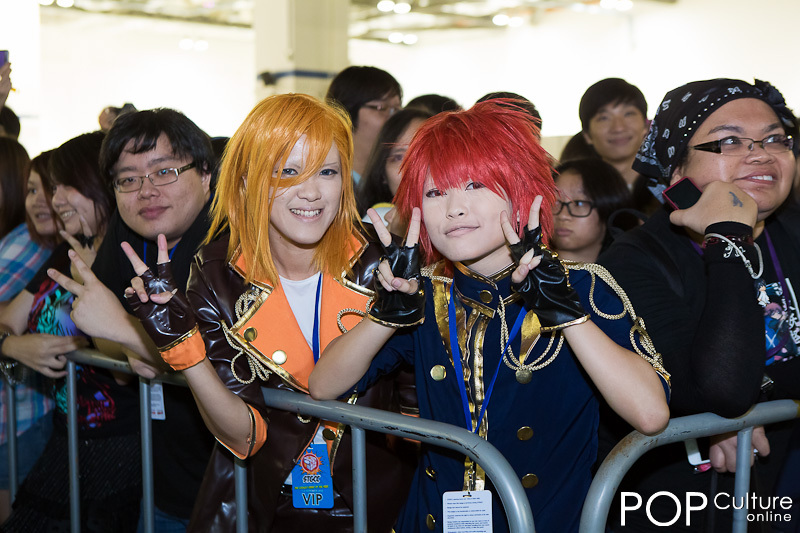 Be it an autograph, a special message, a photo or even that special handshake, the various personalities were all smiles as they spent time with their fans. 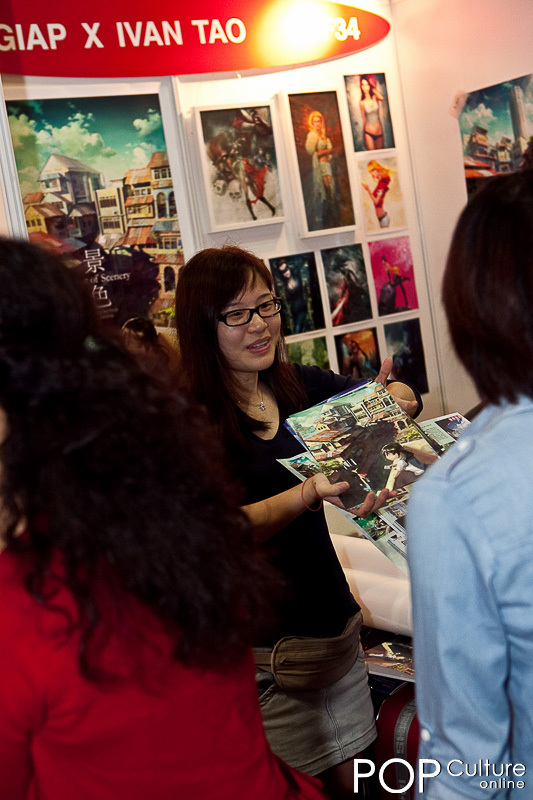 Not forgetting the local talents as well, I always find it a nice touch from the Reed Exhibitions Singapore people to have an area specially for local talents to showcase their works. 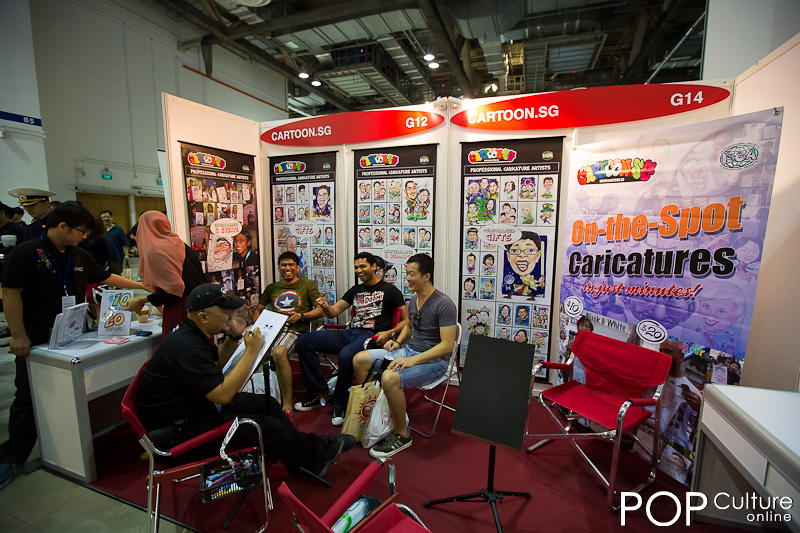 My favourite this year was the booth by Cartoon.sg where visitors to STGCC 2012 could get their caricatures done right there on the spot. 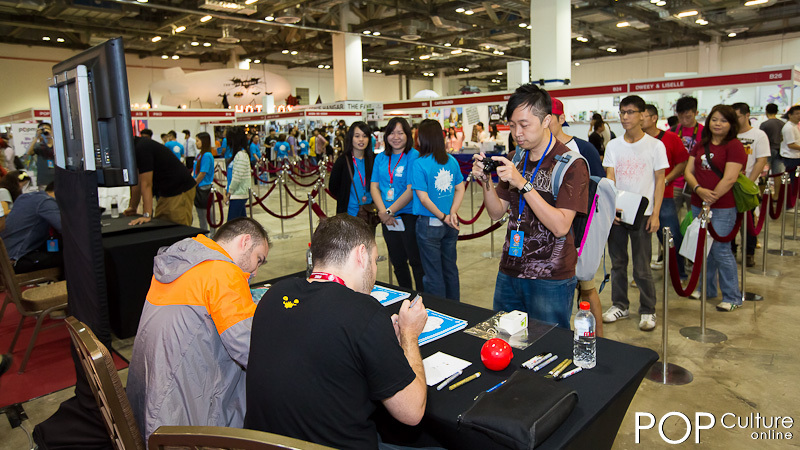 Sadly I was too busy covering the event hall to find time to get mine done. 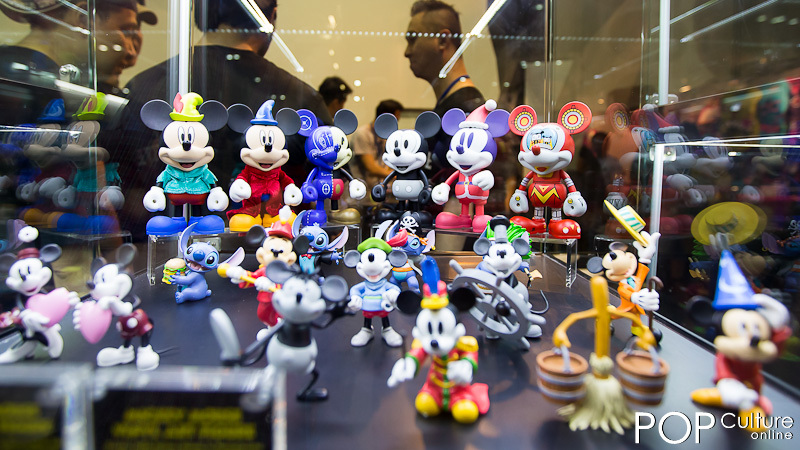 Toy hunters also had a great time this year looking through all the many retail booths with many different popular culture related merchandises. 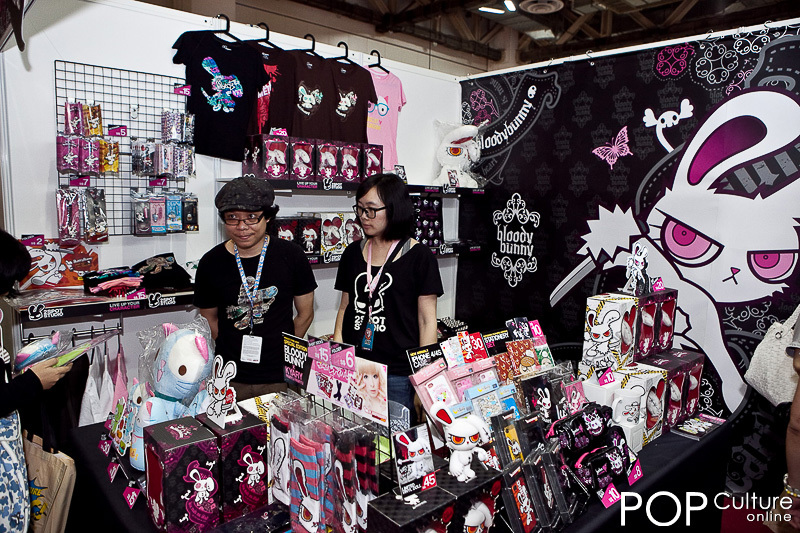 These range from printed tee shirts to replica props and not forgetting brands such as tokidoki and Bloody Bunny. 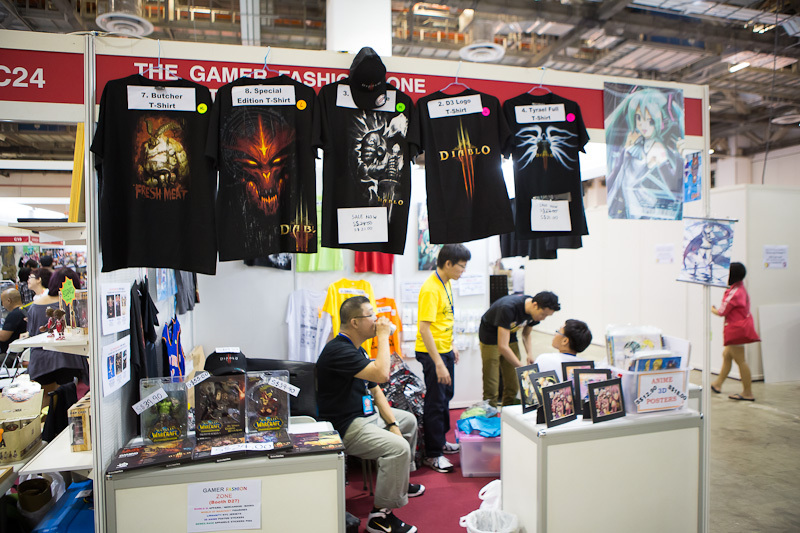 Gamers were also thought for as big names in the industry such as EA Games and Namco Bandai Games were at this year’s STGCC to showcase their latest offerings. 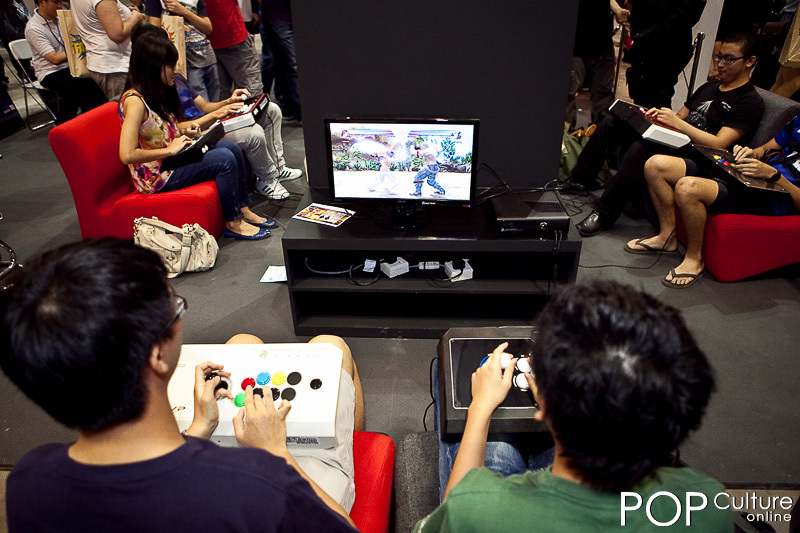 Naturally these booths were also crowded most of the time as gamers had a chance to play early builds of upcoming games like Tekken Tag Tournament 2. 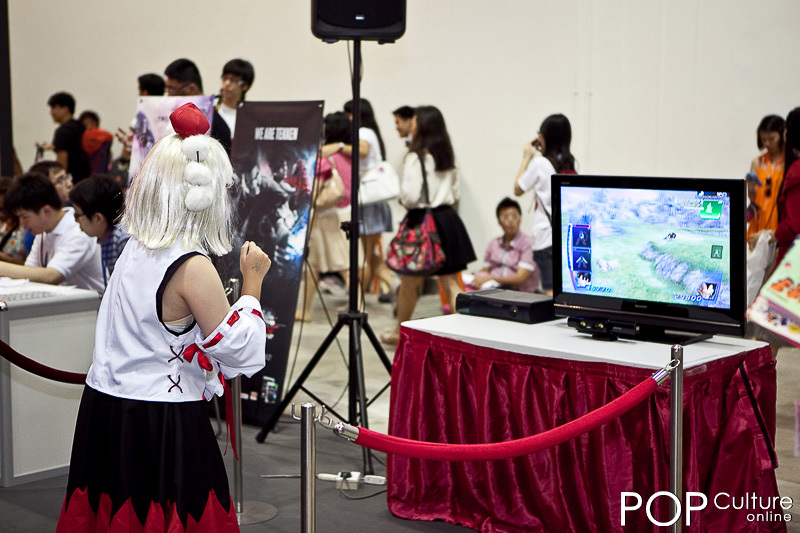 The Singapore E-Sports League was also held a competition this year where gamers from all over Singapore came down to test their skills against one another. 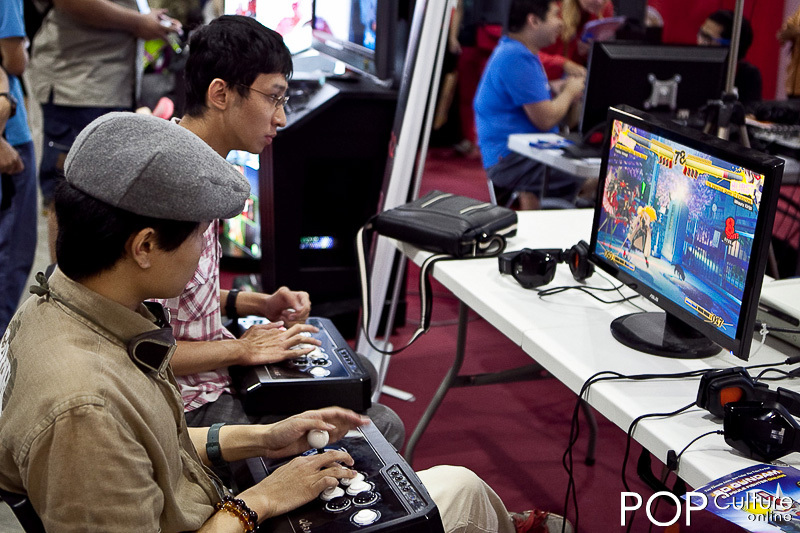 With attractive prizes from sponsors such as game peripherals company Mad Catz, it is no wonder that the booth is always crowded. 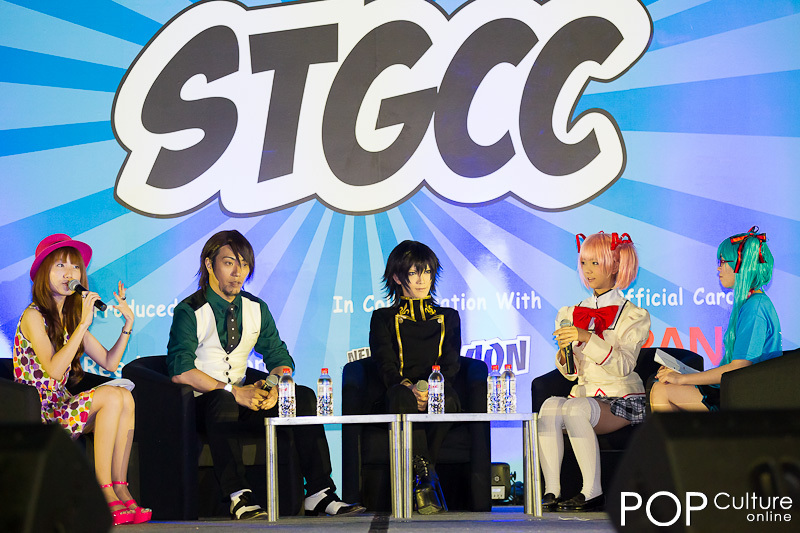 No trip down to the Singapore Toy, Game & Comic Convention would be complete without visiting the stage area and attending its many stage activities. 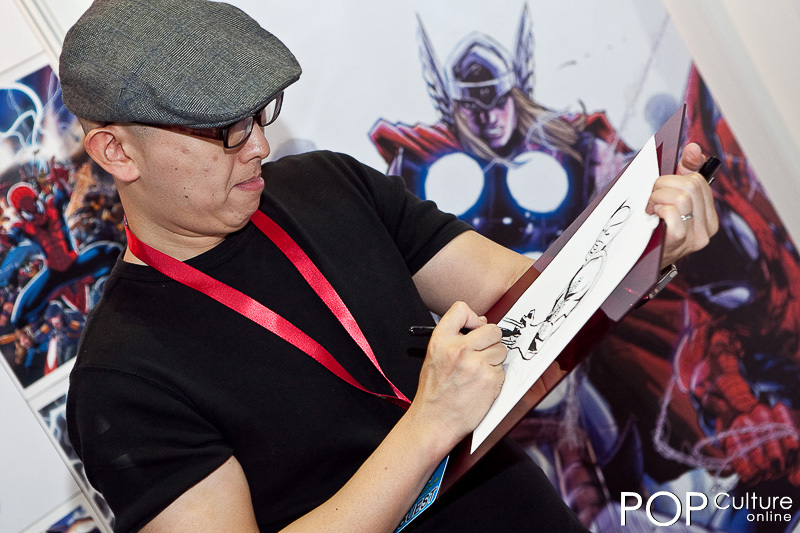 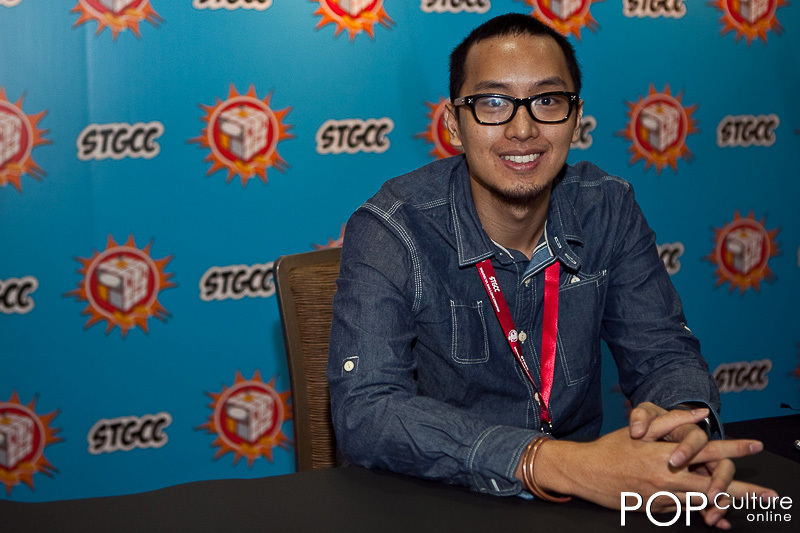 From the many interesting panels where guest from the industry share their thoughts on subjects such as the evolution of comic book heroes & villains, spotlight sessions with special guest such as Itou Noizi & Tristan Eaton and even a special DJ Battle with Zaneeds and Monomind. 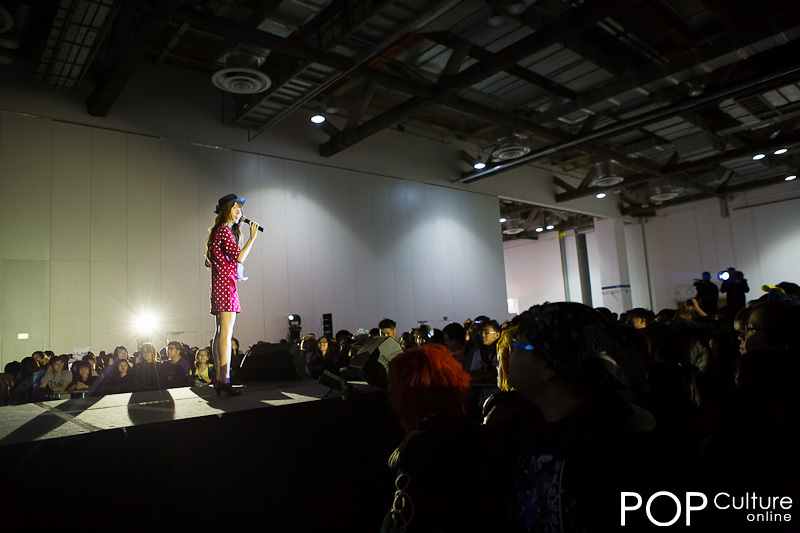 Japanese popular culture fans were also in for a special treat as Piko, a now professional singer who found fame on Nico Nico Douga, made his South East Asia stage debut with an one hour showcase singing his popular songs. 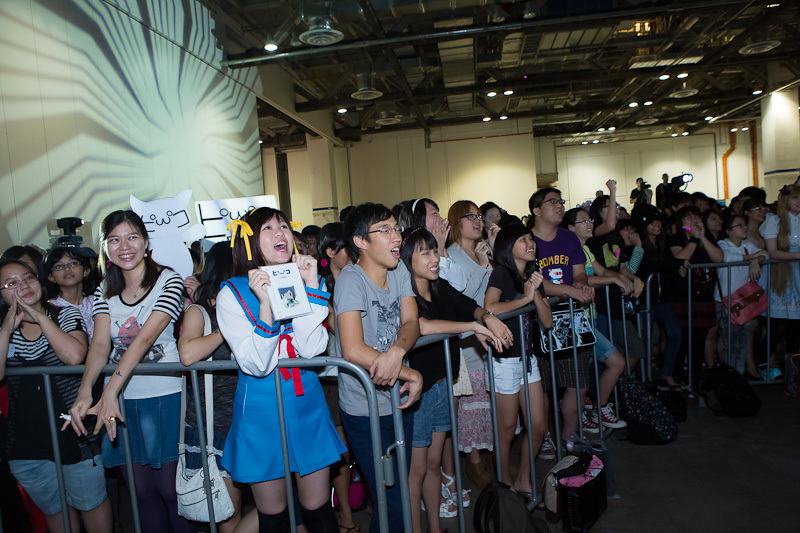 Needless to say, the stage area was jammed pack with fans who were in awe of the singers vocal capabilities. 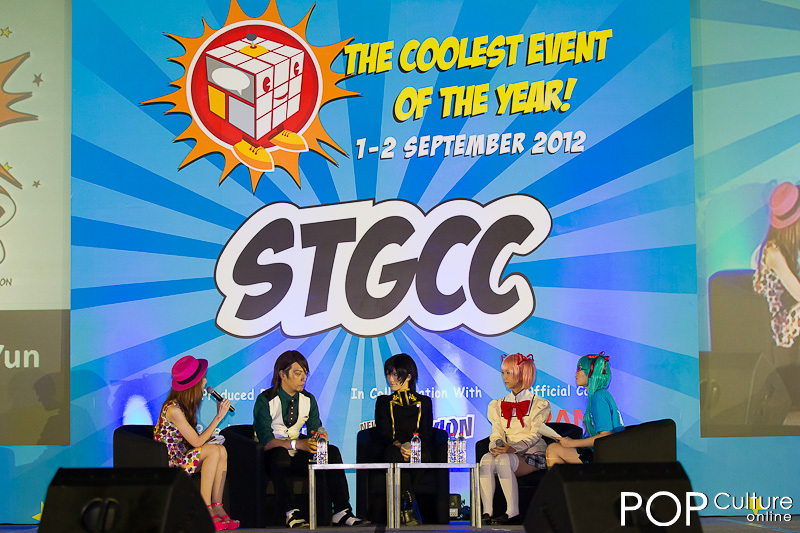 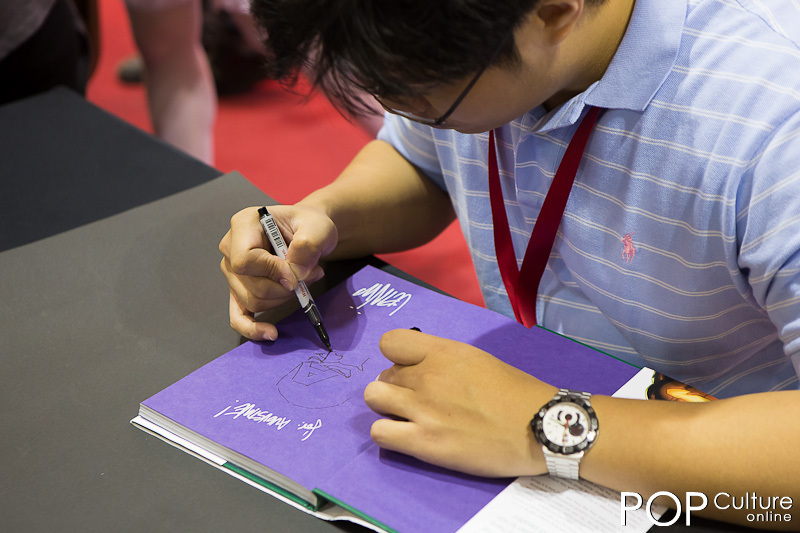 Concluding this year’s STGCC 2012 was a special take on a hobby that has grown over the years. 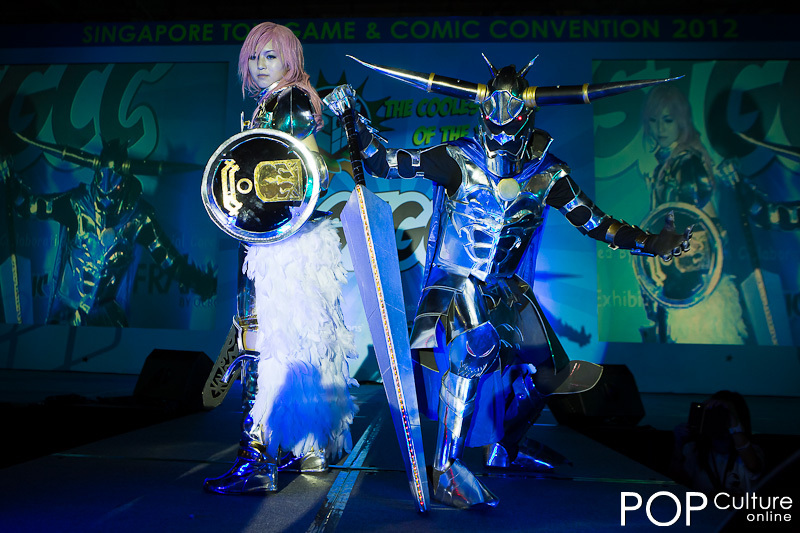 Instead of the usual cosplay competition where audiences get to see teams compete in terms of costume and performance, this year’s cosplay segment sees a cosplay runway instead. 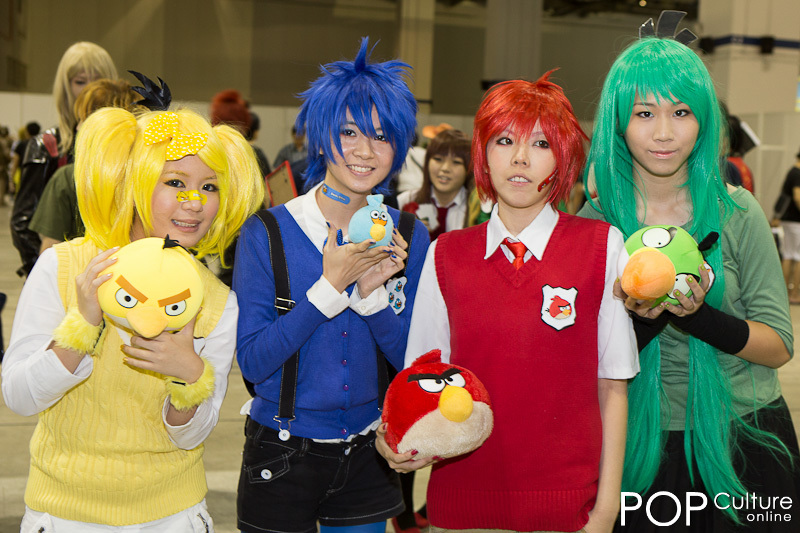 Over 50 cosplayers took to the stage to showcase the result of their hard work and commitment to the delight of the audiences as cameras, tablets and handphones were all out to capture the moment. 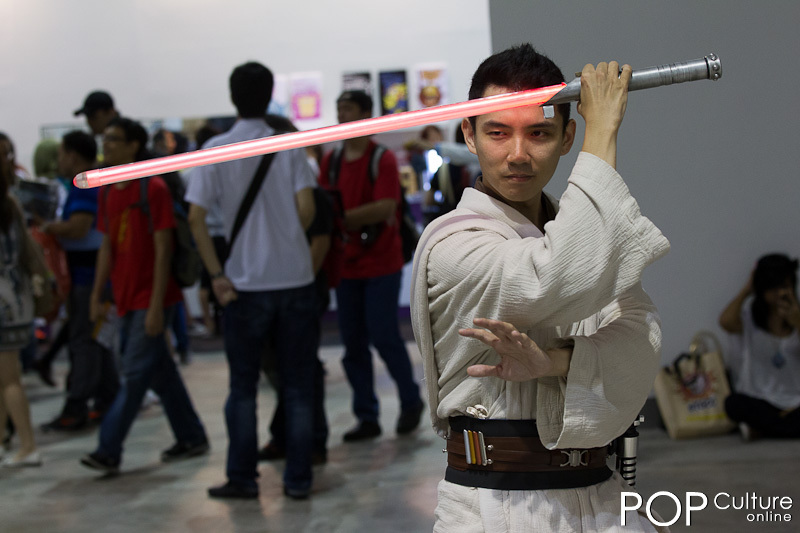 Not forgetting also the many cosplayers who dressed up for the occasion in both east and west cosplays plus the men and women from the 501st Legion and the pocket of lightsaber wielding Jedi & Sith. 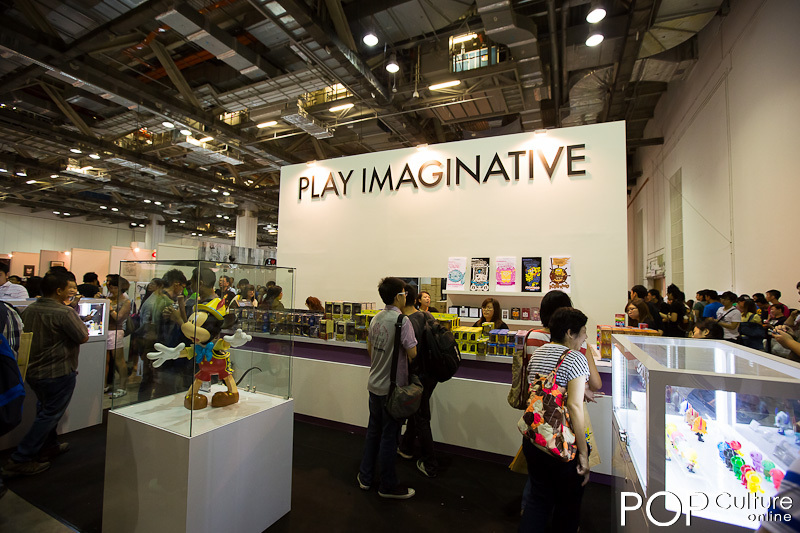 Everything came together nicely to give every visitor that popular culture convention feel. 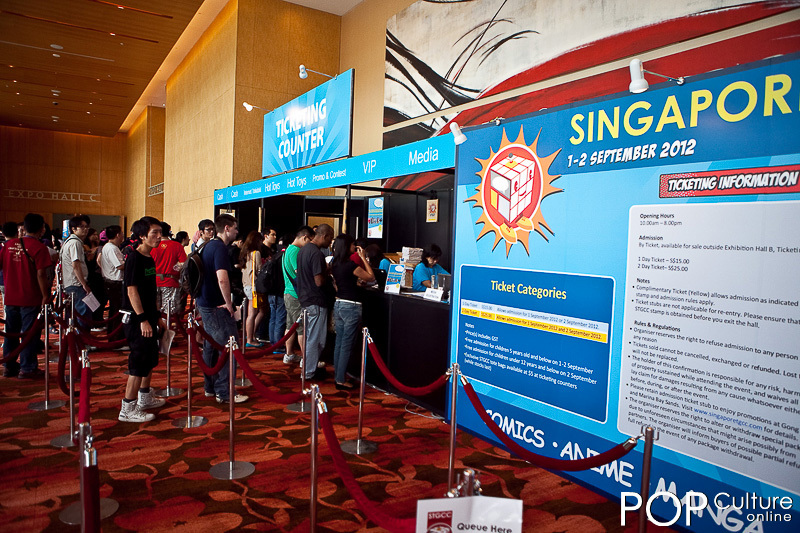 It is never easy to merge two totally diversified popular cultures together and while STGCC 2012 still has its small hiccups here and there, this year’s instalment continues to show without a doubt, the organiser’s commitment to finding that perfect balance. 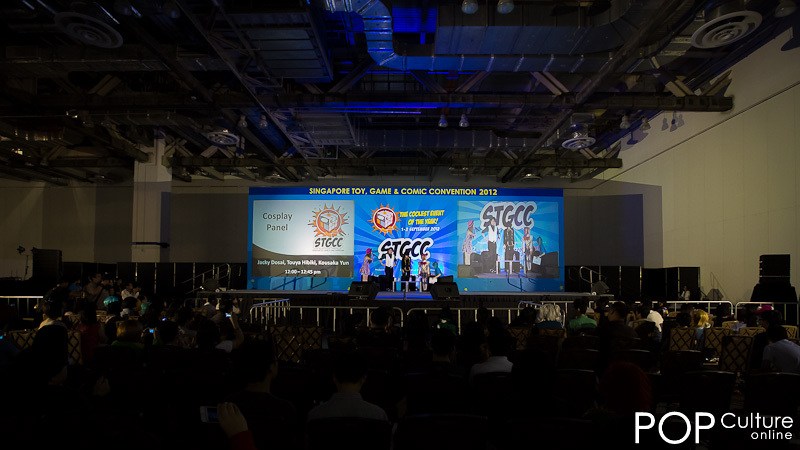 Looking at how much STGCC has grown over the years from playing on its western popular culture strength while increasing its eastern popular culture content, one cannot help but give the people behind this year’s Singapore Toy, Game & Comic Convention a big pat on the back for all their hard work. 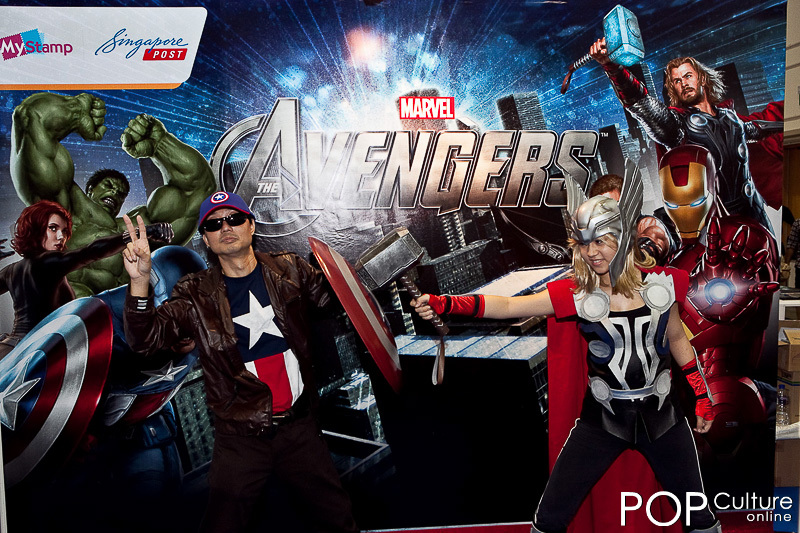 The POPCulture Online Team is definitely looking forward to next year’s instalment of the event that was the catalyst to the birth of this online magazine that you are reading. 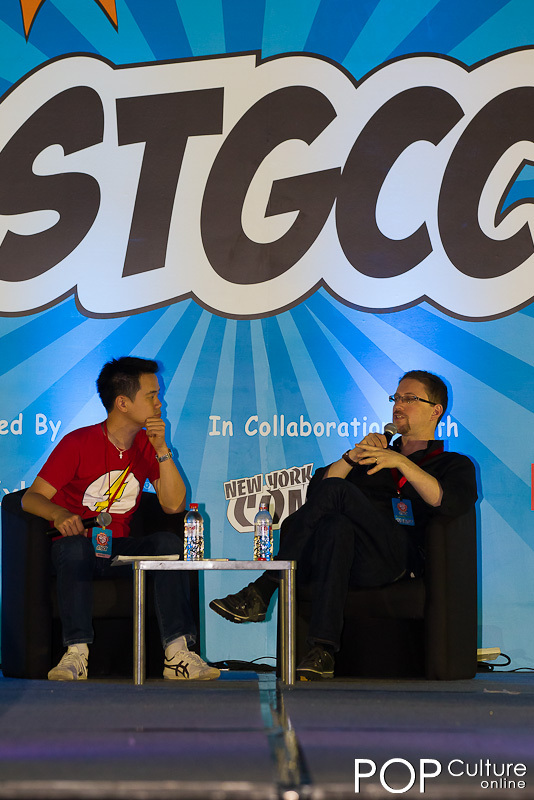 Thanks for the photo of the Jedi up there. 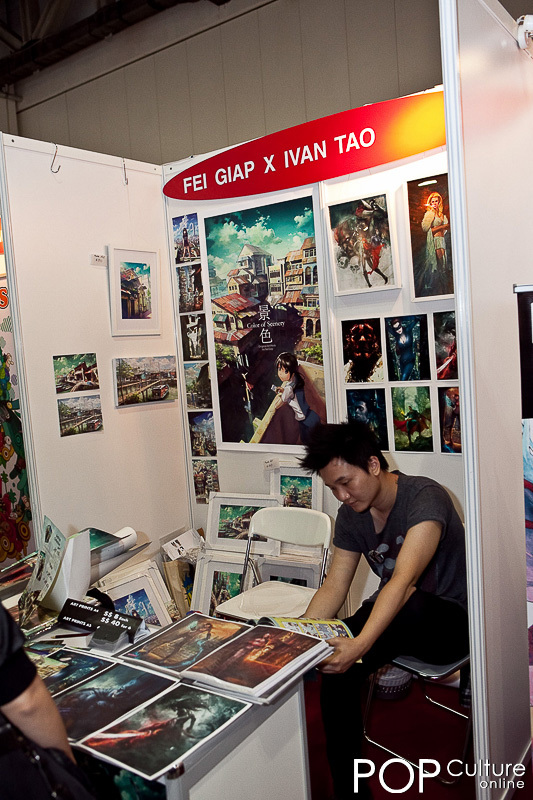 He’s from FightSaber as well!